Doers and dreamers unite at Our Common Future conference. Led by Independent Sector, Our Common Future brings together nonprofits, foundations, corporations, and social enterprises. At the conference, Growfund’s Director, Brandolon Barnett, will speak on Leveraging Donor Advised Funds (DAFs). What’s a DAF? DAFs are the fastest growing tool for giving in the United States. Think of them as a virtual wallet for charitable giving. As a DAF, Growfund offers anyone of any income the chance to save and invest for their giving, allowing users to give more over time. 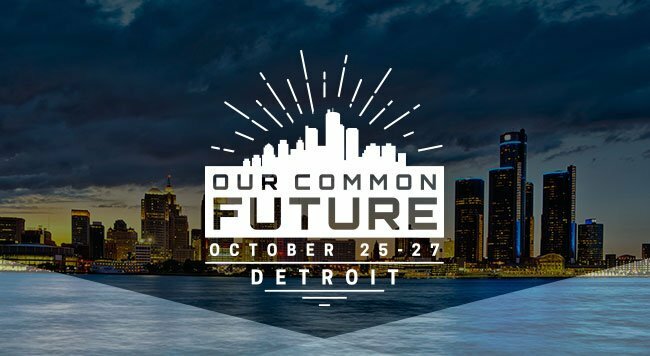 Our Common Future attendees will learn how Growfund is democratizing philanthropy. As the first no-minimum DAF, Growfund cuts the cost of operating a DAF by thousands of dollars. As doers and dreamers, conference attendees need new tools like Growfund to engage with causes and simplify their giving. With Growfund we can imagine a world where anyone who is asked to donate has money already set aside, growing, to support the causes they love. Join Brandolon for an exploration of current trends in giving and philanthropy. Wherever you choose to do good, Our Common Future will empower you to do it better, and so will Growfund.